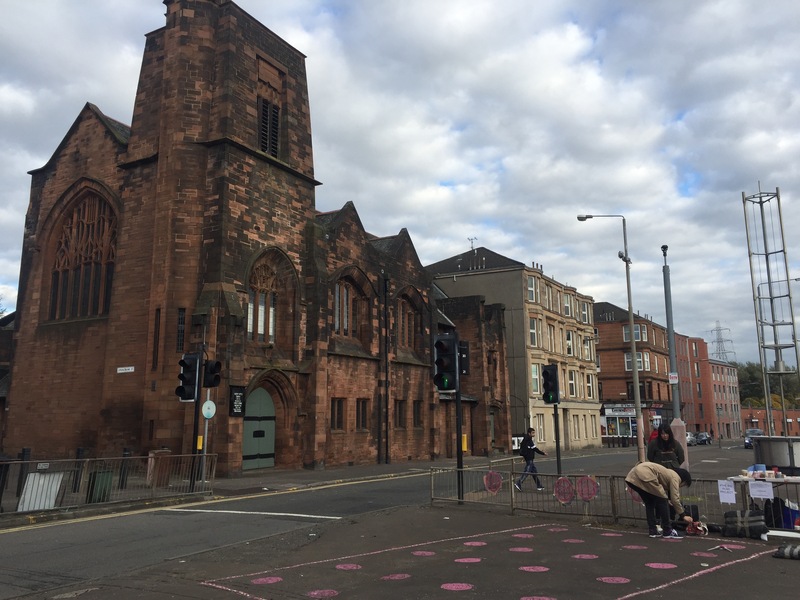 Queens’ Cross church in the Glasgow West end is best know from many as “The Mackintosh Church” ! Indeed this is the only church the Art Nouveau Architect Charles Rennie Mackintosh built. Its a very special building as today it houses the headquarters of the Charles Rennie Mackintosh Society. A charity which protects and promotes the work of the great architect. This place is close to my heart ! this is where I secured my first job when moving to Glasgow many years ago. May be this is where I caught the stencilling bug. 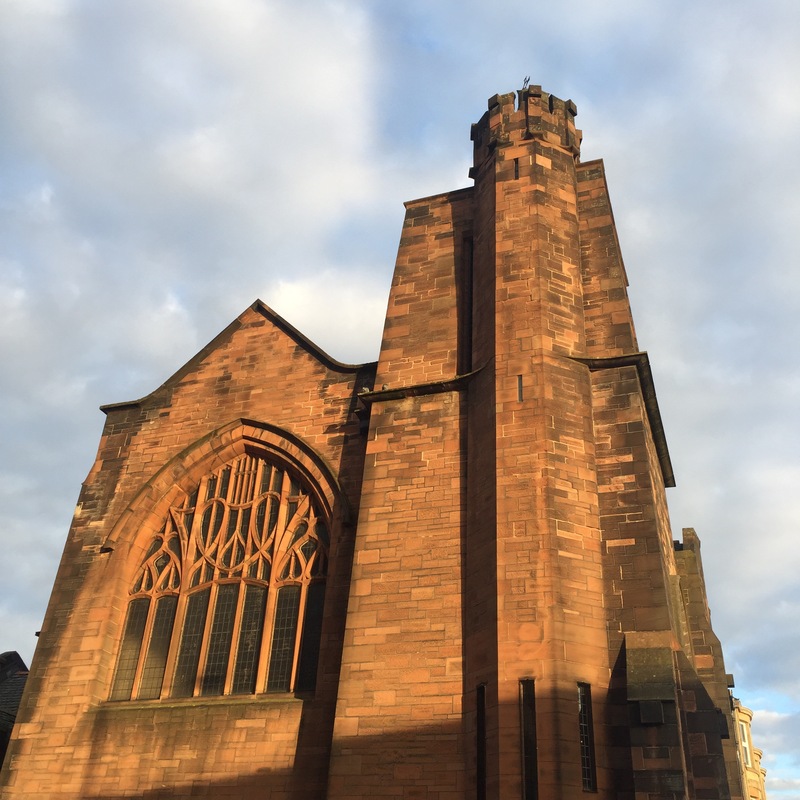 Its a beautiful red sandstone building, simple lines, great big blue stain glass, pews inside, a superb church hall so similar to that of The Glasgow School of Arts before it burned down not so long ago. The Hall is a great place to do crafts and for that reason I come back to it every so often to run a Stencilling workshop for locals and visitors to the city. Last June I ran a great workshop part of the West End Festival. We had two pianists in the participants and were lucky enough to have them play on the old Baillie Scott piano during the afternoon. 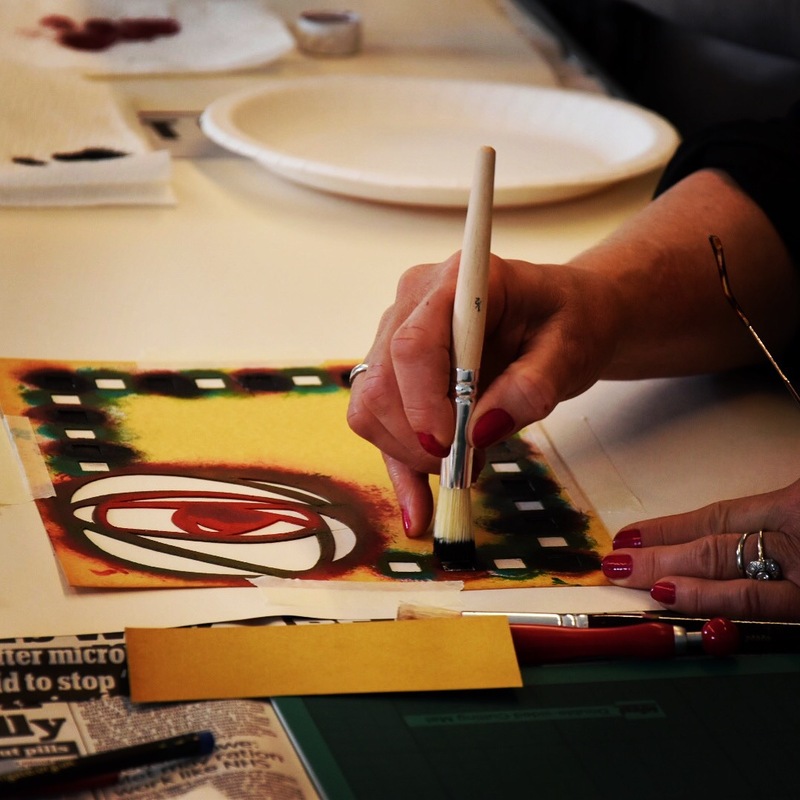 The event was so successful I decided to ran another workshop this year during the Festival for anyone who might be interested to spend a day learning about using stencils for house decoration or any art project. I can not guarantee to have any piano players this time but I can guarantee immense fun and creativity. We will start with some basic technic as it is essential to practise the dry brush technique. 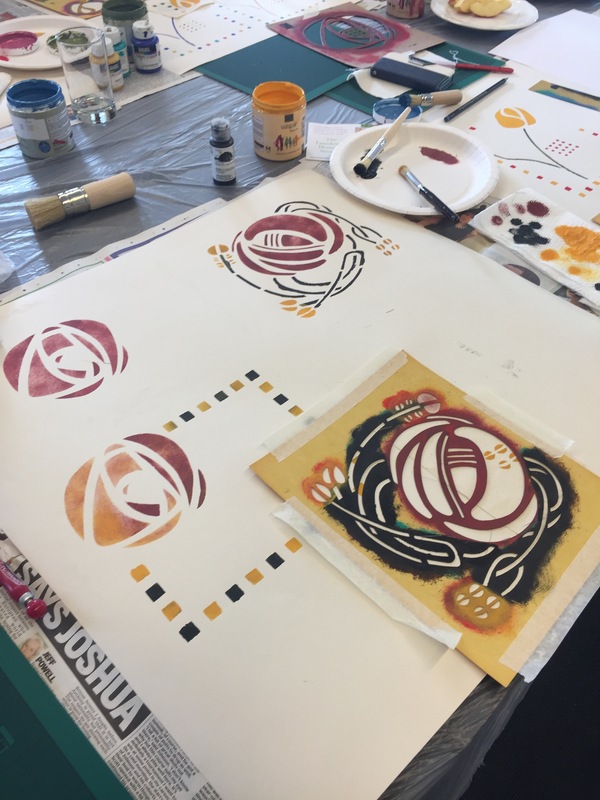 After a break we will then design a simple stencil using some elements of Mackintosh design, cut it and practise with it both on paper and fabric. 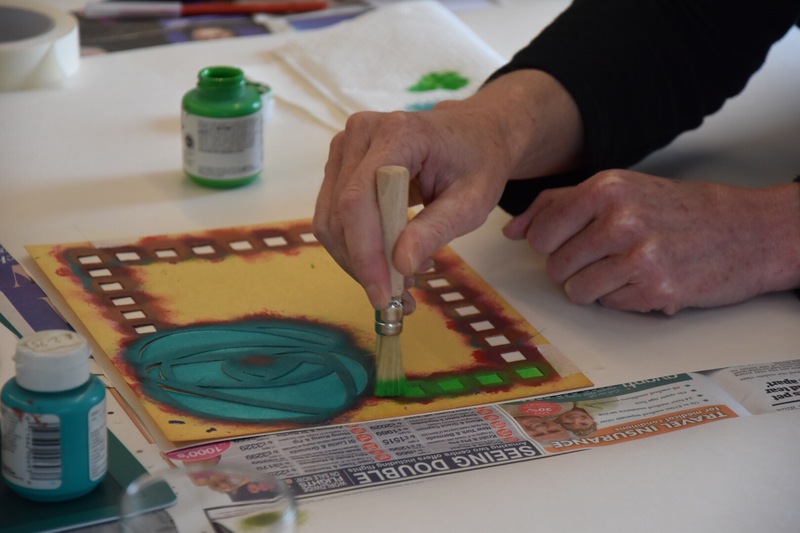 Participants will leave with all the work they have done and the stencil they made. All material is included in the price and tea and coffee will be served. Bring your own lunch or choose the option to nip around the corner to the famous Cafe D’jaconelli for some Italian fare. 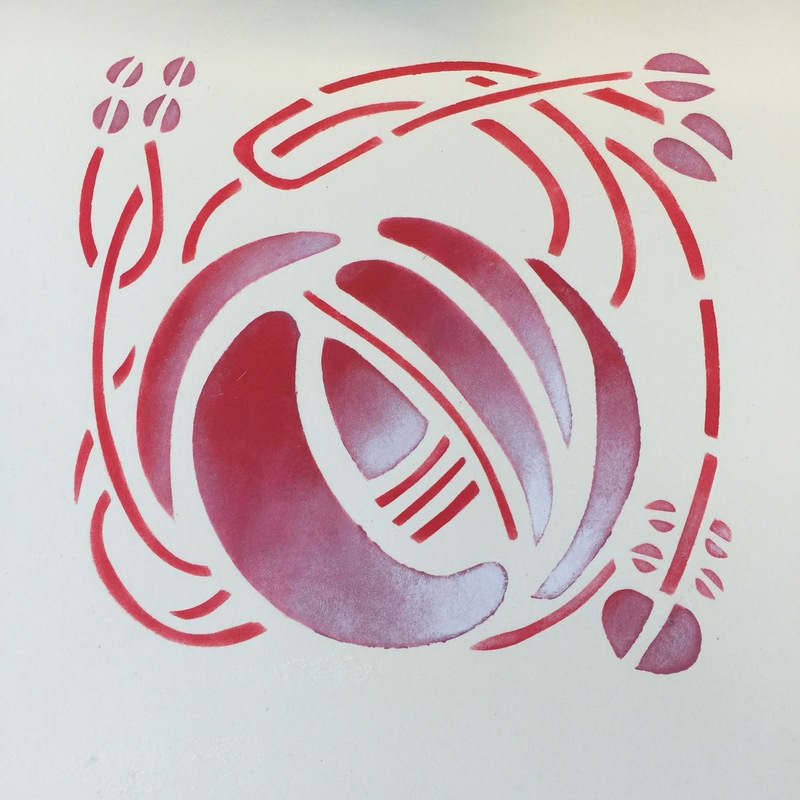 Stencilling is a great rewarding technique, you don’t need to be very skilled to get a great initial result and this workshop is for all levels. Beginners are very welcomed. Here is some of previous participants samples. The day will run between 10am and 4pm. The cost is £40.